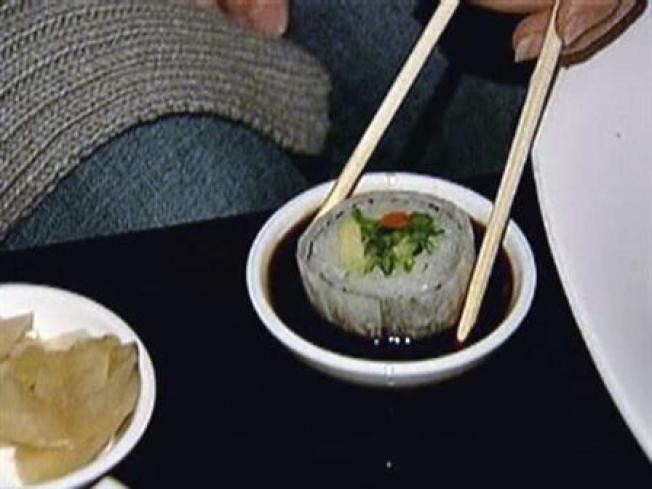 Kazu in Norwalk is offering any two sushi rolls for just $8 tonight. We're taking you on a culinary tour of the globe tonight, without ever leaving the friendly confines of the Nutmeg State (see, culinary tour starts already). Kazu in Norwalk has its Monday sushi special tonight starting at 5:30 p.m.
You can choose any two rolls for just $8. Here's the menu: California, tuna, yellow tail and scallion, shrimp tempura, Boston (does that mean baked beans and rice wrapped in Nori? ), spicy salmon, eel and avocado, vegetable, shrimp and avocado or salmon skin. Besides the food, they've got half-price beer and wine. It's Margarita's Monday at Aunt Chilada's in Hamden. This could be the best name for a Mexican restaurant ever (and if you don't get, I'm not explaining it). Anywho, Aunt Chilada's has $1 off all margaritas and $5 off all pitchers until 1 a.m. And there are even more happy-hour specials from 4-7 p.m.
And golfers, listen up, Aunt Chilada's even shares its parking lot with a driving range, so bring your sticks and bring your appetite. Finally, we're headed back to the good ol' U.S. of A. It's Ultra Mondays at Eli's on Whitney in Hamden. You can enjoy plenty of drink specials and a few other surprises. Wow, what a great trip. Let's do it again tomorrow night!